Danny M. Cohen, Ph. D. is a learning scientist, fiction writer, and human rights artist. An author of human rights fiction, Danny's works include the choose-your-own-pathway mystery The 19th Window﻿ and the historical novel Train, a Teacher Fellows selected text of the United States Holocaust Memorial Museum. 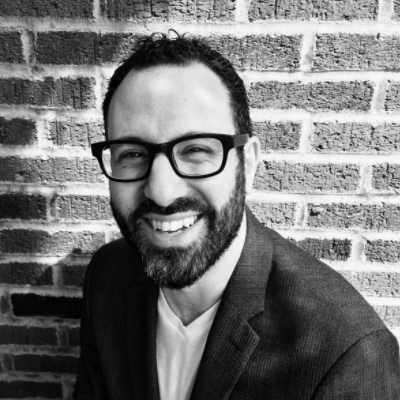 An Associate Professor of Instruction at Northwestern University’s School of Education & Social Policy and The Crown Family Center for Jewish & Israel Studies, Danny teaches about the design of community programs for social change, Holocaust fiction, and marginalized narratives of human rights. Danny is the Founder and Interim Executive Director of Unsilence, a national nonprofit that designs and delivers highly-interactive learning experiences that support young people and communities have tough conversations and create lasting solutions to taboo human rights and hidden social injustices. Danny is a governor-appointed member of the Illinois Holocaust & Genocide Commission. He sits on the editorial advisory board of the journal The Holocaust in History & Memory. Danny designed the pedagogical track of the inaugural docent training program of the Illinois Holocaust Museum & Education Center. And he was a faculty fellow of the Auschwitz Jewish Center. His academic publications include Overlapping Triangles. Danny is a selected artist for Brushes With Cancer, a program of Twist Out Cancer. He is also a singer-songwriter and a member of They Won't Win. Born and raised in London, Danny lives in Chicago with his husband and their daughter.